Journalism is a critical part of a healthy democracy. But today it is under pressure from all sides – internet is changing how we consume media, entertainment is preferred to journalism, media owners scout round for new business models and the notions of a fourth estate or a public service falls through the cracks. In New Zealand, political forces are taking advantage of this weakness to control and manipulate the stories we hear. It is getting harder and harder to do good public interest journalism and keep power in check. The threat to Campbell Live is a symptom of a wider crisis within the fourth estate. Can we value journalism and informed debate in the age of the internet or must we hold to the media we have been used to while it clearly declines? Alison McCulloch, Myles Thomas and Keith Ng will be panelists, leading a discussion on the direction of NZ journalism. Keith Ng- Regular contributor to the extreme left Public Address blog. Enough said about Keith. There’s going to be a lot of “diversity” at that meeting isn’t there readers? Maybe they should quit the pretence and just call it a brainwashed communist get together where everyone agrees with everyone else. We know what they want, and its nothing like a free media where diverse viewpoints are discussed. 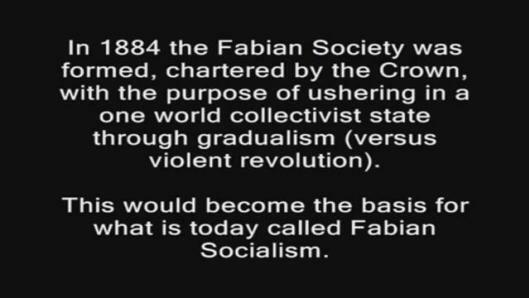 What they are, Fabian Socialists, tells us exactly what they want. The problem as I see it is that the Internet has made it harder for the Authorities to control the content. This is great for democracy and transparency but very inconvenient for those wanting to control it. It is hard to pull funding when you are not funding it. It is hard to censor it when it is so open. Look for this to change. Face it: you can’t fight the communists in the “media” or on the “internet”. You can’t fight them in the newspapers or the legislatures or the council chambers. Communist have only ever been defeated in the streets. We learned that back in the 1930s.